This morning's Illinois Playbook reports that Illinois Appellate Court Justice Jesse G. Reyes has declared for the Freeman vacancy on the Illinois Supreme Court. Politico's Illinois Playbook is regularly linked in the blog Sidebar. The Illinois Playbook post includes the suggestion that six other jurists, including Justice P. Scott Neville, Jr., who was appointed to the Freeman vacancy last year, and Justice Sheldon A. Harris, whose election announcement ran yesterday here on FWIW, are exploring possible campaigns for this position. Personal opinion, clearly labeled as such: I think there may be as many as 10 or 12 candidates who will seriously consider bids for the Freeman vacancy. 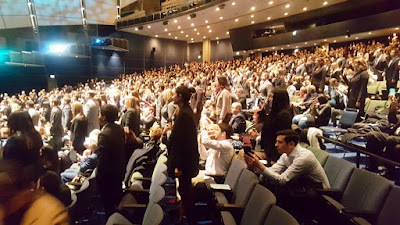 I do not necessarily expect that all 10 or 12 will make it to the ballot in the March 2020 primary -- but Supreme Court vacancies are rare (justices are elected to 10-year terms and face only a retention election thereafter, not a contested election, in order to remain in office) and this scarcity almost necessitates a 'now-or-never' analysis. Illinois Appellate Court Justice Sheldon A. Harris has declared his candidacy for the 1st District Supreme Court vacancy to be filled in 2020. My good friend and learned jurist Charles Freeman retired last February. His retirement has created a Supreme Court vacancy which will be filled in the 2020 elections. Today I am announcing that I am a candidate in the March, 2020 Democratic primary election to fill his vacancy. Justice of Appellate Court, First District since 2010 having authored over 400 Opinions and Orders. Rated Qualified/Recommended by every bar association that rates judges. A committee supporting me is in formation and HarrisForJustice.com is in place. I look forward to the election campaign and will be grateful for your support. 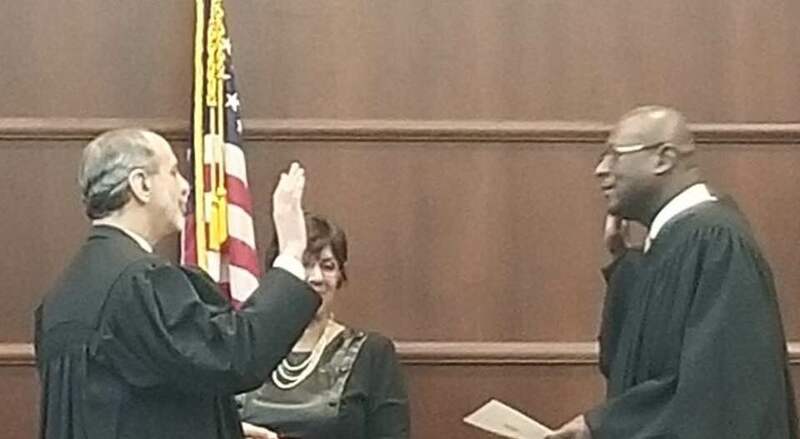 The Illinois Supreme Court appointed Justice P. Scott Neville, Jr. to the Freeman vacancy last June, but he would have to win election to this seat in 2020 to continue in office. The South Asian Bar Association of Chicago has announced that its Second Annual Judicial Reception will be held on Thursday, April 11, from 5:00 to 8:00 p.m. at the Kimpton Hotel Allegro, 171 West Randolph Street. SABA will be honoring Illinois Supreme Court Justice Mary Jane Theis at this event and welcoming newly appointed U.S. Magistrate Judge Sunil R. Harjani. SABA Chicago Preisdent Chirag H. Patel advises that over 100 judges have already indicated plans to attend. 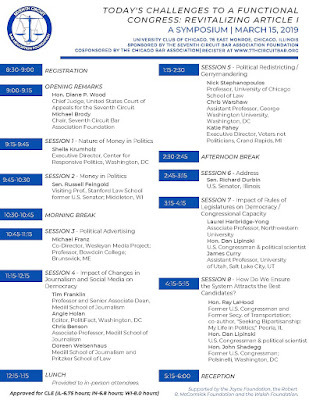 Tickets for the reception are $100 each for non-members, $80 for SABA Chicago members, and $25 for law students. Members of the judiciary will be admitted without charge, but all must register. To purchase tickets or register for the event click here. The price (for those seeking CLE credit) is $50. A reception follows the program. The Circuit Court of Cook County will be closed tomorrow, Wednesday, January 30, and Thursday, January 31, according to an announcement made today by Chief Judge Timothy C. Evans. 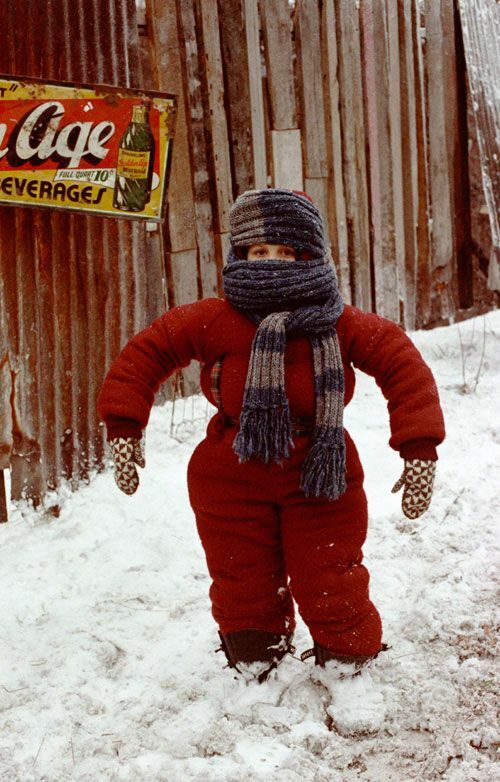 The United States District Court announced last night that it, too, will be closed tomorrow, Wednesday, January 30. The District Court's website advises, "Each judicial officer will reschedule their in-court matters as they determine best for their cases." The Cook County Circuit Court's announcement is more nuanced. There will be bail hearings and certain pretrial matters for in-custody defendants at the Leighton Criminal Court Building in Chicago and juvenile detention hearings at the Juvenile Center in Chicago -- but, other than these, all Cook County Circuit Courts will be closed as we all hunker down for the Polar Vortex. Jurors who are currently assigned to a trial do not need to come to court on Wednesday and Thursday, but must return to court on the next date scheduled by the trial judge. Those who were called for jury duty on Wednesday or Thursday do not have to come to court on Wednesday or Thursday, and they will receive a new summons for duty on a future date. Cook County lawyers looking for specific information about the continuance of matters previously set for tomorrow or Thursday can click here to access the complete text of General Administrative Order 2019-02. Lake County Bond Court, hearings will be conducted at 1:30 p.m. The Advocates Society will host its annual Installation Dinner on Wednesday, February 20, at the Hotel Allegro, 171 West Randolph Street. The Advocates will confer its 2019 Award of Merit on Judge Diann Marsalek at the dinner. 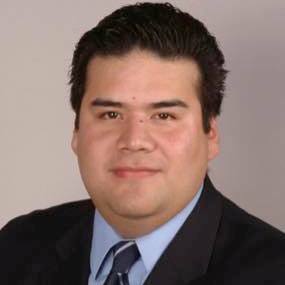 Incoming Advocates President Lucas Figiel and the new slate of executive officers will also be recognized. A cocktail reception begins at 5:00 p.m. The dinner and program follow at 6:00 p.m.
Advance tickets are $150 per person; tables of 10 are available for $1,350 if purchased by February 12. Tickets may be purchased on the evening of the event, if available, for $175 per person. Checks for tickets should be made payable to the Advocates Society and may be sent to the Advocates Society c/o Lucas Figiel, 7111 West Higgins Avenue, Chicago 60656. For more information, email lucas@figlaw.com. As my kids used to say, it's Facebook official. Michael A. Strom was sworn in yesterday to the Luckman vacancy in the 9th Subcircuit, as this picture, lifted from Facebook, attests. Somewhere Avy Meyers is smiling. Granted, I can't think of any possible links between bubble baths and judicial elections -- but today, January 8, is National Bubble Bath Day. You could look it up. I was originally going to tie this post to another event -- a sporting event -- one played with a prolate spheroid -- but the way things worked out -- well, I'm just not ready to go there yet. Even typing "post" just now was painful. It reminds me of a certain compound word of which post is the second part. So, to distract us from our shared pain, I offer this list. This not a comprehensive list of Cook County judicial vacancies but, rather, a list of vacancies that have either been filled by Supreme Court appointment, or for which an application process has been announced, or that I am pretty sure exist even though no announcement has been made. Some of the "vacancies" listed below may not yet be vacant -- and several of the persons identified as filling these vacancies have not yet actually taken office -- but an official announcement has been made. There are likely to be other vacancies, beyond those reported here, which the Supreme Court has neither filled nor announced. And, of course, new vacancies will occur in the ordinary course. I can and will update as necessity requires and opportunity permits. As reported earlier today in this space, the Illinois Supreme Court today appointed Michael A. Strom to a 9th Subcircuit vacancy created by the retirement of Judge Marvin Luckman. The appointment is effective January 10, 2019, and will terminate December 7, 2020. 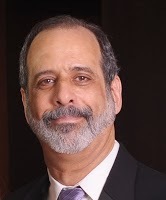 Licensed in Illinois since 1977 and currently employed in the office of Chief Judge Timothy C. Evans, Strom worked for Schaffenegger, Watson & Peterson early in his career before moving to CNA as staff counsel. Strom recently received the Light of Righteousness Award from the Decalogue Society of Lawyers (Strom served as President of this group in 2012-13). 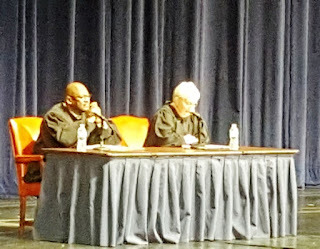 Working with the Chicago Coalition for Law-Related Education, Strom has also served as a teacher and coach of mock trial teams at South Shore High School. He was a candidate for a 9th Subcircuit vacancy in the 2014 primary. The Illinois Supreme Court today appointed James T. Derico, Jr. to the countywide vacancy created by the retention defeat of Judge Matthew E. Coghlan. The Supreme Court also issued a press release with today's order, confirming that this appointment was made on the recommendation of Justice Mary Jane Theis. Justice Theis did not announce any appointment process for this vacancy; however, the Court's press release indicates that Derico's credentials were reviewed by Justice Theis's screening committee. The implication is that Derico was a finalist for one of the two countywide appointments announced yesterday. 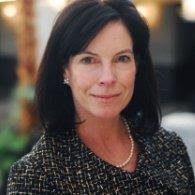 Licensed as an attorney in Illinois since 1985, Derico began his career as an associate with Gardner, Carton & Douglas (now Drinker, Biddle & Reath). 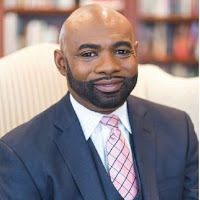 He subsequently worked in-house for Borg-Warner Corporation and an Assistant Corporation Counsel for the City of Chicago specializing in contracts and commercial law. Derico founded his present firm, Derico & Associates, P.C., in 1992. A graduate of the University of Pennsylvania Law School, Derico did his undergraduate work at the University of Notre Dame. According to the Supreme Court's press release, Derico has served on the Illinois Supreme Court Committee for Civil Jury Instructions. He was the recipient of the Chicago Volunteer Legal Services (CVLS) Distinguished Service Award in 2009 and 2014. Derico is a member of the Chicago Bar Association (serving as Chair of the YLS Corporate Practices Group) and the Cook County Bar Association. Derico's appointment is effective January 18, 2019; it will terminate on December 7, 2020. December is surging past us, going faster than Santa's reindeer, and, with one obligation or another, this blogger has missed the opportunity to plug nearly every holiday program. Mea culpa, mea culpa, mea maxima culpa. 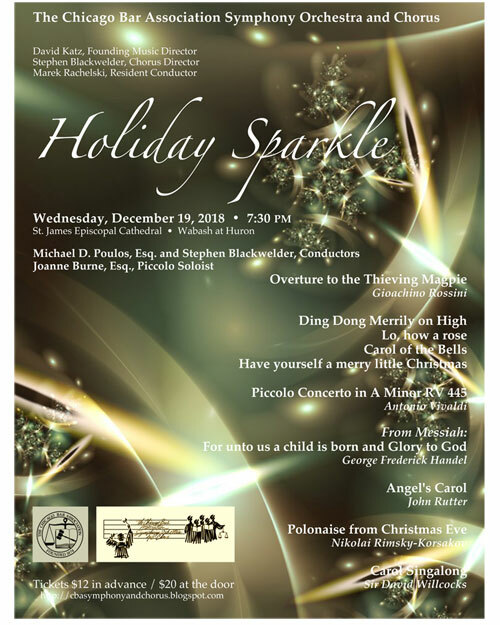 But I still have time to mention -- and you still have time to attend -- a "Holiday Sparkle" concert, by the Chicago Bar Association Symphony Orchestra and Chorus, this Wednesday, December 19, at 7:30 p.m., at St. James Episcopal Cathedral, at Wabash and Huron. Tickets are $12 in advance (available here) or $20 at the door. The CBA Symphony Orchestra and Chorus is composed of musicians who also work as lawyers, judges, and law students. 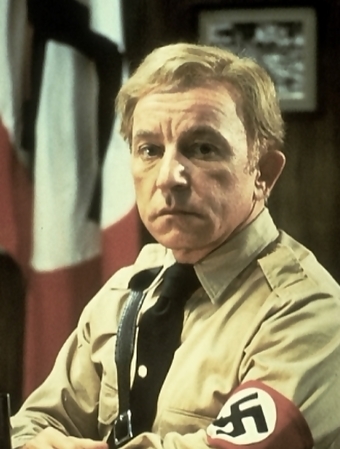 One of the conductors Wednesday will be Michael D. Poulos, one of my law school classmates. 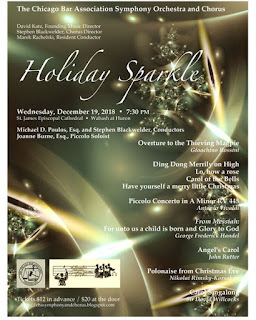 For more information about the concert, visit this page of the CBA website. Frequent and generous FWIW contributor Albert J. Klumpp, Ph.D., has a lead article in the November issue of the CBA Record, "The Early Bird Gets the Term." 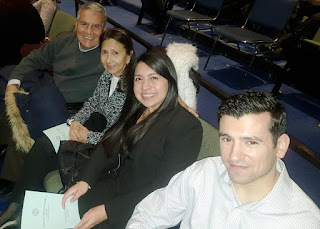 The article addresses ballot position and its impact on Cook County judicial elections... a topic which, I believe I may say without fear of contradiction, is of considerable interest to many regular visitors here. In separate orders entered yesterday, the Illinois Supreme Court reappointed two judges who were unsuccessful candidates in this year's judicial primary. The Court appointed Judge Fredrick H. Bates to the 1st Subcircuit vacancy created by the pending retirement of Judge Rodney Hughes Brooks. The court also appointed Judge Michael A. Forti to the 8th Subcircuit vacancy created by the pending retirement of Judge Deborah J. Gubin. Both appointments are effective Monday, December 3, and terminate December 7, 2020. Judge Bates had been serving by appointment to a 2nd Subcircuit vacancy. He was an unsuccessful candidate for this vacancy in March. Yesterday's order marks the third time Bates has received a judicial appointment from the Supreme Court. Bates was first appointed to a countywide vacancy in December 2015. He was an unsuccessful candidate for a different countywide vacancy in the 2016 primary. Judge Forti was an unsuccessful candidate for an 8th Subcircuit vacancy this past March; the Supreme Court appointed him to that vacancy in September 2016. Thus, yesterday's order marks the second time Forti has received a judicial appointment. Though slated by the Democratic Party, Forti was also an unsuccessful candidate for a countywide vacancy in 2012. He made the Associate Judge short list in 2014. In separate orders entered yesterday, the Illinois Supreme Court filled three countywide vacancies with persons who were passed over in the most recent round of associate judge selection. 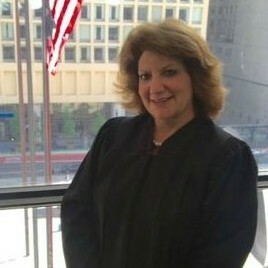 Judge Marina E. Ammendola was appointed to the countywide vacancy created by the retirement of Judge Kevin M. Sheehan. Her new appointment is effective December 3, the date on which her current appointment, to a countywide vacancy, will expire. Ammendola was an unsuccessful candidate for a 14th Subcircuit vacancy in the March primary. Celestia L. Mays was appointed to the countywide vacancy created by the retirement of Judge Raymond Funderburk. 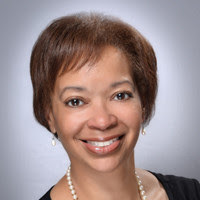 A former President of the Cook County Bar Association, Mays, who has been licensed in Illinois since 1990, currently practices law as Celestia L. Mays, P.C., with an office in Chicago's Loop. Her appointment is effective January 25, 2019. Mays filed for a 5th Subcircuit vacancy in the 2016 primary, but withdrew from the race. Lloyd James Brooks was appointed to the vacancy created by the resignation of Judge Jessica A. O'Brien. A founding partner of the Matteson-based Consumer Legal Group, Brooks has been licensed in Illinois since 2000. While Brooks focused his practice mortgage foreclosure defense, having taken a number of such cases up on appeal, he also engaged in other consumer protection litigation, real estate and insurance coverage matters. Brooks is also a Chartered Property Casualty Underwriter. Brooks's appointment is effective December 7, 2018. All three appointments expire on December 7, 2020. My thanks again to Alliance Administrator Joyce Williams for keeping this blog up to date. The Chicago Tribune recently touted BallotReady as a resource for voters trying to make sense of the Cook County judicial ballot. From the main screen (that's a snippet of the home page, above) a voter can enter his or her address and get information on every race that will be on the real ballot. And it's very encouraging that this is the second go-round for BallotReady (I had a post about the site during the 2016 primary season). In my time covering this beat, ambitious groups tend to surface for this race or that one -- but go dark before the next election rolls around. I spent some time with Ballot Ready noodling around the retention candidates. No, I did not go through them all. But I did go through enough to see that, while there seems to be some information for every retention judge, every one that I reviewed was missing something. The Chicago Bar Aassociation rating. The Cook County Bar Association rating. The Black Women Lawyer's Association. The Decalogue Society. Someone. This one had 11 ratings, that one only 9. Some less than that. And when I thought I'd detected a pattern (no CBA ratings) the next several all had CBA ratings but missed one or more Alliance bar groups. Also, the candidates are not listed in ballot order. Strangely, on my 'ballot,' the retention judges were listed first -- but there was a countywide vacancy inserted right underneath the Supreme Court and Appellate Court retention candidates. 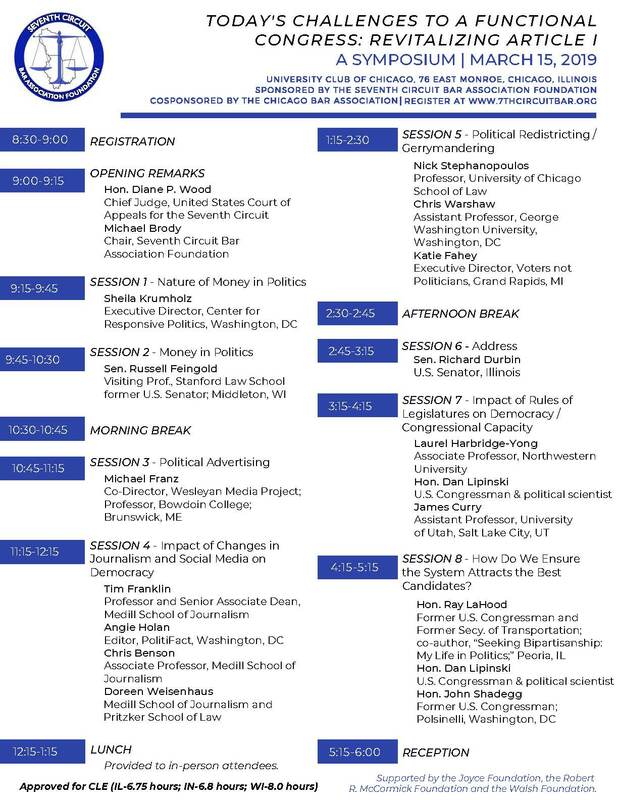 And, unless I missed it, there were no links to the three bar groups that issue narrative ratings of candidates (the CBA, Chicago Council of Lawyers, and the ISBA). But BallotReady certainly provides a lot more information for Cook County judicial retention voters than most sources. 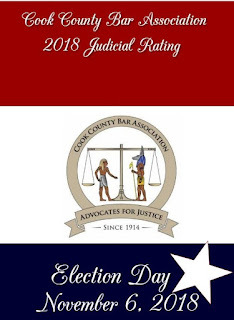 Really careful readers may have noticed the discrepancies between the Cook County Bar Association retention judge ratings announced earlier this week and the CCBA ratings shown in the last set of Alliance grids that I published here on FWIW. I admit, I missed it. To be specific, that last set of Alliance grids showed Judges Mike McHale, Mary Colleen Roberts, and Erica L. Reddick as having not been evaluated by the CCBA (and not because of any fault on the candidates' part). 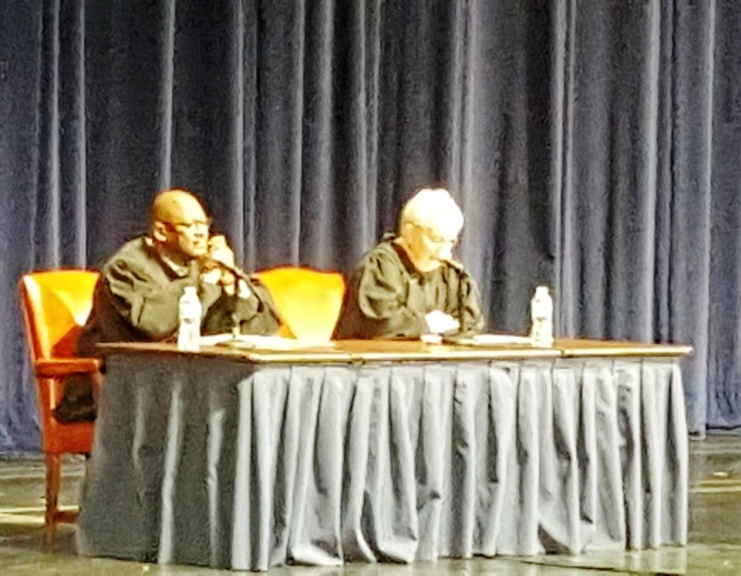 The CCBA ratings showed that the group had completed evaluations of these three judges and had recommended a "yes" vote for their retention. My thanks, as always, to Alliance Administrator Joyce Williams for providing the corrected information. In a press release issued yesterday evening, Cook County Circuit Court Chief Judge Timothy C. Evans announced that the Executive Committee of the Circuit Court of Cook County has relieved Judge William H. Hooks of his duties in the Criminal Division, assigning him to administrative duties until further notice, and referring him for anger-management counseling. According to the court's press release, "Judge Hooks is accused of acting in such a manner that created a hostile work environment for another judge." Except for reporting that Judge Hooks "expressed contrition" regarding the matter, no other details of the alleged misconduct have been provided. While performing administrative duties, Judge Hooks will report to the Sixth Municipal District Courthouse in Markham. According to the press release, Hooks "will be co-mentored by Circuit Judge Sharon M. Sullivan, Presiding Judge of the County Division, and Circuit Judge Tommy Brewer, Presiding Judge of the Sixth Municipal District." The court's announcement also notes that the matter involving Judge Hooks has been referred to the Judicial Inquiry Board.